The Woodside Singers is a four part choir based in the New Forest which has been delighting audiences for more than 30 years. We have around forty members and the principal objective is for singers to enjoy themselves singing and performing a wide range of music from Bach to the Beatles. We are currently recruiting all voice parts. There are no auditions, so if you would like to join us please get in touch. We are looking for new members! 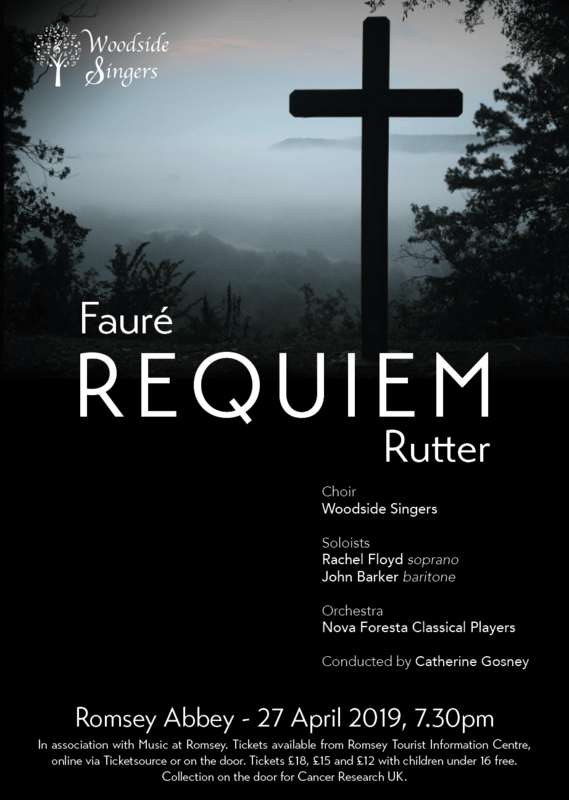 If you love to sing, please get in touch…..
Woodside Singers will return to Romsey Abbey with Nova Foresta Classical Players to perform John Rutter’s Requiem and Faure’s Requiem.